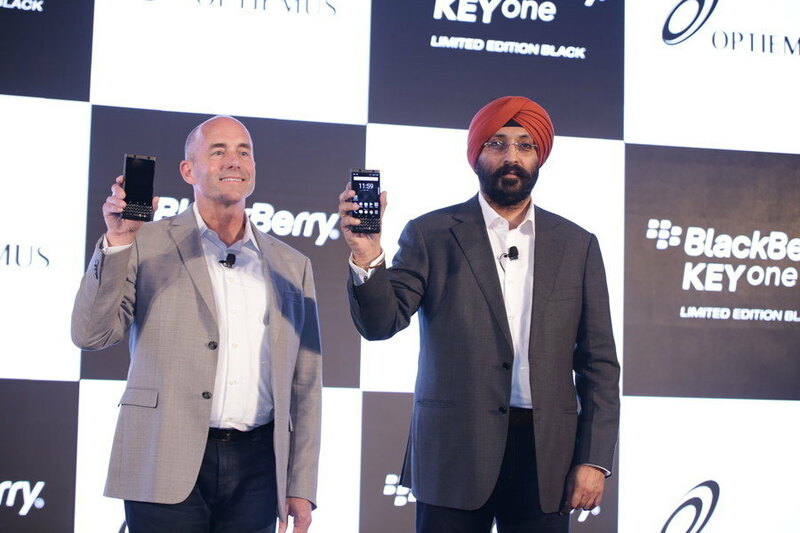 Optiemus Infracom Limited, a leading Indian telecom enterprise, today unveiled the BlackBerry KEYone LIMITED EDITION BLACK in India. This launch represents Optiemus’ long-term commitment to the make-in-India initiative, wherein the company will manufacture BlackBerry branded devices in the country starting from September 2017. 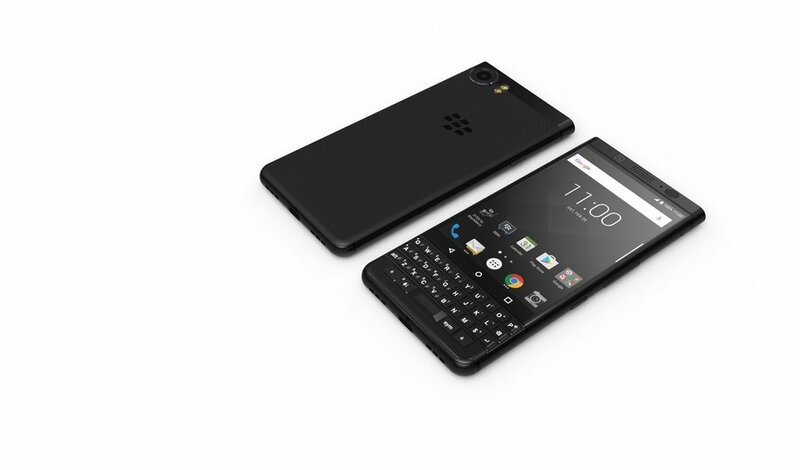 BlackBerry KEYone LIMITED EDITION BLACK will be the first BlackBerry branded device made by Optiemus Infracom under the licensing agreement signed in February this year. The device offers the best of BlackBerry Limited’s software and security with Optiemus Infracom’s commitment to deliver high-quality, reliable smartphones to customers in the country. The BlackBerry KEYone LIMITED EDITION BLACK will be available from August 8th, exclusively on Amazon India. American Express is offering up to 4,000 bonus points, on the purchase of the device, to its credit card members. On buying Blackberry KEYone LIMITED EDITION BLACK, Vodafone customers will get up to 75 GB of additional data over a period of three months. This offer is valid until 30th September 2017. “We are delighted to launch the KEYone LIMITED EDITION BLACK in India. It is specially designed for the Indian market, keeping in mind the clients’ requirements such as dual SIM. The device offers the world’s most guarded Android smartphone experience combined with unrivaled productivity. We are confident that it will appeal to enterprise customers and consumers alike,” said Mr. Hardip Singh, Executive Director, Optiemus Infracom Ltd.
Uniquely designed for the Indian Consumer! BlackBerry KEYone LIMITED EDITION BLACK has been distinctly intended for Indian customers to offer Dual SIM capability – and will also be available in Sri Lanka, Nepal, and Bangladesh. It is equipped with a metallic black frame, and soft touch textured rear. This new BlackBerry smartphone is developed to offer the best in durability with an impressive design. Featuring a 4.5-inch scratch resistant display (1620×1080 resolution / 434 PPI 3:2 aspect ratio) with Corning ® Gorilla® Glass 4 offering greater scratch resistance, it blends a touch display with a physical keyboard to give users more useable space for typing than a typical 5.5-inch all-touch smartphone. The device arrives with a 4GB RAM and 64GB ROM (expandable up to 2TB). The device’s Smart Keyboard reacts to touch gestures imitating the heritage of the BlackBerry trackpad making web browsing, reading emails and writing messages with flick typing a much softer and spontaneous experience. This Smart Keyboard can also be readily programmed to launch up to 52 customizable shortcuts, providing even greater ease of use. Also, BlackBerry KEYone LIMITED EDITION BLACK also offers the security of a fingerprint sensor built directly into the keyboard space bar for added functionality and safety. Powered with Security and Convenience! BlackBerry KEYone, LIMITED EDITION BLACK, comes with the traditional security features that BlackBerry is known for. The smartphone offers the most secure Android smartphone experience. It comes pre-loaded with DTEK™ by BlackBerry, enables users to automatically monitor their OS and apps to know when their privacy could be at risk and to take action to improve it. The DTEK app also tracks applications and notifies when someone is: taking pictures or videos without the user’s knowledge, turning the microphone on, sending a text message, or accessing the contacts or location. The device runs on Android 7.1 – giving users access to the entire Google Play store and apps. It comes loaded with BlackBerry Hub® a unified messaging inbox which combines emails, texts, and messages from social media accounts including Facebook, Twitter, LinkedIn, BBM, Whatsapp, Instagram, and others. Another benefit of BlackBerry Hub is the ability to manage multiple email accounts without switching between apps, with support for Gmail, Yahoo Mail, Outlook, Microsoft Exchange accounts, and many other IMAP and POP3 email providers. In addition to the design and security features that make BlackBerry KEYone, LIMITED EDITION BLACK, strikingly different, the additional features reinvent mobile communications for the productivity user. At its core, the device is powered by a Snapdragon 625 2GHz Octa-core processor. It includes Qualcomm® Quick Charge™ 3.0 technology, making it possible for the 3505 mAh battery, the largest ever in a BlackBerry device, to receive up to 50 percent charge in roughly 36 minutes that will last for approximately two days*. And for when you only have a few moments to grab a fast charge, BlackBerry’s Boost can turbo charge the battery to get the most charge with the limited available time. The device is engineered to deliver professional-looking photos with an 8MP front facing camera and a wide angle lens and a 12MP auto-focus rear camera. With a large pixel size (1.55μm) and Phase Detect Auto Focus, moments captured on the BlackBerry KEYone LIMITED EDITION BLACK will be ultra-crisp and clear. Additionally, for video conference or streaming, it includes an 8MP front camera with fixed focus and 84-degree wide angle lens. Offer: For the aspiring BlackBerry smartphone customers, Optiemus will be offering easy and interest-free EMIs. BlackBerry KEYone edition BLACK is far-famed for its smartphones centered on security and productivity. Combining the universally standard golem OS with a extremely purposeful physical keyboard, the new BlackBerry KEYone edition BLACK is that the good phone for those that look for to balance their work and private lives. accessible completely at Amazon Asian nation, buy the BlackBerry KEYone edition BLACK smartphone and skill the most recent in smartphone technology.